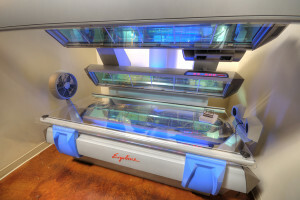 The Celsius Fusion/Elite is a new level of high-pressure tanning technology. 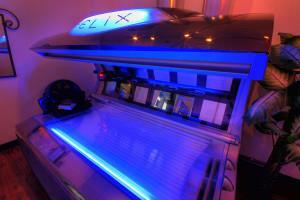 The System works with high-pressure lamps in the canopy, and Celsius 160 watt VHR lamps in the base. The 360° fusion of reflective tanning power results in just a 10-12 minute session & FAST results! Equipment varies slightly by location.